Good-looking people have a head start on being perceived well. According to research, we pay closer attention to the beautiful, which has the result that they more easily convey their personality traits. Be at the top of your game physically. Don’t be excessive: just being fit, eating right and getting adequate sleep will go a long way. Doing those things changes your appearance — including your facial features — in subtle ways, in addition to affecting more obvious aspects such as your weight. Pay attention to body language. Stand (or sit) up straight with your shoulders back, relax, and avoid clangers such as fidgeting or crossing your arms over your torso. Smile, make eye contact and listen. Focus on making the other person comfortable, rather than any discomfort or nerves you may be experiencing. Address low self-confidence, and be your unique self. Okay you got me…that last one isn’t quite so easy. Low self-confidence, or a reluctance to be your authentic self around others, aren’t commonly identified as significant factors in articles about great first impressions. But they’re arguably the most important factors. Unfortunately, true inner confidence cannot be faked. And in my experience and observations, it can take effort to build it. However it is totally worth it — and not just for the sake of nailing that first impression. Having inner self-confidence is what explodes the possibilities for you and your life. Self-confidence emerges as a result of self-awareness. I believe that nearly every desirable psychological state, including self-confidence, can be tracked to a greater self-awareness. Self-awareness isn’t just one thing: it is a combination of practices. (I actually believe it is a process, which I map out in my book about self-discovery). You can think of this process as one of tending to the garden of the mind, as that’s what you’re effectively doing. You’re taking stock of what’s there, pruning out the weeds of unhelpful thinking patterns, and planting new ways of thinking, supportive to greater happiness and resilience. You are crafting a positive, empowering psychology, out of a semi positive one at best. In addition to self-discovery, there is one other thing that builds your confidence. It is quite a specific thing. You must regularly confront your fears in the area you want to build confidence in, taking concrete actions. That’s it. There are no hacks. 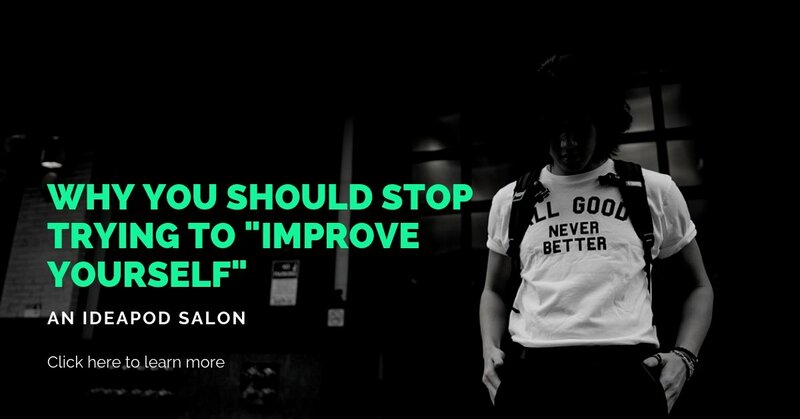 What do you want to improve self-confidence in? Let’s say you want to improve confidence in social settings. You have to schedule in social activities, such as meetups, community events, work socials and dates and consistently attend. This is how you’ll get confident in social settings. If you want to improve confidence at giving presentations at work, seek out mentors and relevant information and then give presentations a lot. If you want to improve confidence in writing, then write. This advice is not particularly original, but our problem tends not to be lack of information, but lack of implementation. Once you begin to push the envelope on what’s possible for you, you’ll get stopped, because we all do. Specifically, you’ll be snagged by self-limiting beliefs and unhelpful mindsets. These are products of an ego self that is trying to save you from being judged by others. Your ego self was formed during a time that the approval of others was necessary for survival. But that is no longer the case! An example of a limiting belief is “others don’t like it when I am powerful”. An example of a negative mindset is a “fixed” mindset (“I’m not allowed to make mistakes”). These are just weeds to be noticed, pruned and replaced. Actively practice responsibility (also sometimes called “proactivity”), as it’ll help you not to fear the consequences of pushing forwards in life. Develop an orientation towards growth and learning over winning (check out Carol Dweck’s book, Mindset). Low self-confidence can be caused by the negative thoughts running through our minds on an endless track. Practicing mindfulness is the key to overcoming this problem, because doing so makes us realise that we are not our thoughts. Strategies like cognitive behavioral therapy may also help. With regard to negative self talk, the most powerful thing you can do is to develop self-compassion, which is sort of self-directed kindness (check out the work of Dr Kristin Neff). For inspiration on overcoming any sort of resistance, I recommend Steven Pressfield’s books War of Art and Do the Work. When you’re truly self-confident, you’ll let a little of you show, even to new people you meet. I personally love it when that happens. So swallow the art of charm pill by all means, but remember to do your own version of it. Whether that’s enthusiastic and happy-go-lucky, or quieter and calmer. We don’t need to blend out our uniqueness into a shade of vanilla. Everybody’s imperfect. I say it’s dull as dishwater to be like everyone else.